Matthias Spielkamp is based in Berlin and works as journalist, consultant and lecturer. He is one of the founding editors and project lead of the online information portal iRights.info – copyright in the digital world, which received the Grimme Online Award 2006, Germany’s most prestigious award for online journalism. As a journalist, Matthias covers issues of Internet governance, copyright, and social and political aspects of ICT for national newspapers, weekly papers, magazines and online publications. His articles have appeared in publications such as Die Zeit, brand eins, Frankfurter Allgemeine Zeitung, Süddeutsche Zeitung, Spiegel Online, Frankfurter Rundschau, Die Tageszeitung (taz) and many others. Recently, his essay Open Excess (originally published in German in Perlentaucher) stirred up quite a debate in Germany, leading to interviews in national TV programme 3sat, radio programmes and an invitation by the Goethe Institute to give a lecture at the La Paz book fair in Bolivia. 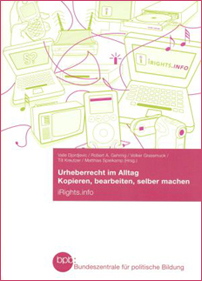 In 2008, Matthias was one of six experts invited to a roundtable discussion on online journalism by the Bundestag’s (the German parliament’s) sub-committee on new media. He is frequently invited as speaker, panelist and moderator at media conferences such as Deutsche Welle’s Global Media Forum, the IIJ symposium on „Harnessing the power of new media“ or re:publica, Germany’s most important Web2.0 conference. In 2009 he was invited by the German government to present his views on the book and newspaper businesses at two conferences organised y the German ministry of economics and the Federal Government Commissioner for Culture and the Media (his speeches on the Google book settlement and the situation of freelance journalists are published here (books, PDF, 4.4 MB) and here (journalism, PDF, 6.2. MB)). He teaches at journalism schools, the German public broadcasters (ARD and ZDF), Deutsche Welle, the International Institute for Journalism, Deutsche Welle Akademie and many others, in Europe, the Middle East and Asia. As a consultant, Matthias advises private companies, government and non-governmental organisations on their online appearance, writing and online journalism skills for their employees, usability and workflow optimisation. He co-organised the international conference Wizards of OS 4 in Berlin (September 14-16, 2006), assembling as many as 80 speakers from five continents, dealing with issues of free knowledge: Free and Open Source Software, free infrastructure, free culture / Creative Commons and more. For the conference, he created a 90-minute stage show, the „Free Knowledge Show„, with as many as 20 guests and an audience of more than 300. The event was broadcast on cable TV in Berlin and is available online (in German – Stream | Download – MP4, 600 MB!). From November 2007 to November 2008, Matthias hosted the Wisskomm Wochenschau, a weekly vodcast on science communications. With Melanie Wieland, Matthias is author of „Schreiben fürs Web“ (Writing for the Web, 2003). With his colleagues at iRights.info he’s published a book on copyright and day-to-day uses which is available in print and as a CC-licensed PDF version. He has published numerous articles in books and scientific publications on issues of usability, copyright in digital media, digital rights/restrictions management, online research and more. In addition to immateriblog.de he founded www.recherche-info.de, where he blogs with colleagues about journalistic research, online and offline (in German only). Matthias is a partner at TV production company autoren(werk), member of the advisory boards of deutschland.de and Social Times and a member of the American Council on Germany. He holds a master’s degree in journalism from the University of Colorado at Boulder, a Magster Artium in philosophy from the Free University of Berlin and a certificate in Internet Law from Stanford University’s Center for Internet and Society (a summer school course organised by Lawrence Lessig, Johnathan Zittrain, William Fisher and Charles Nesson).